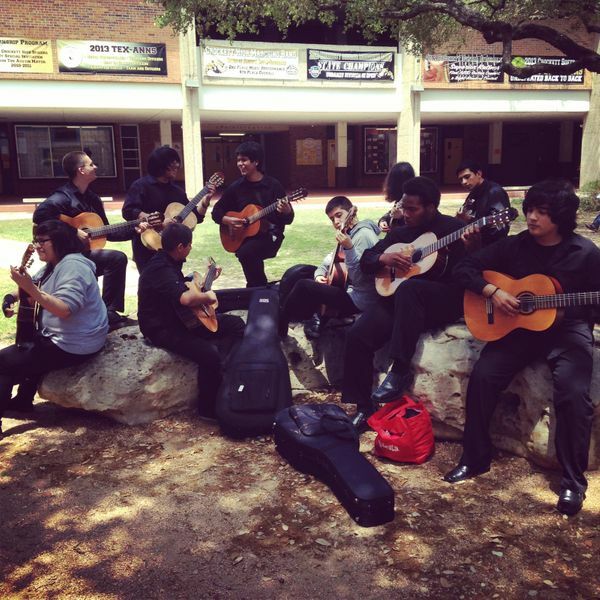 Today our campus hosted the Austin ISD Guitar Sight Reading and Ensemble Competition. Students from all over the district performed and competed in our theater all day long. Here's a picture of one group enjoying our courtyard and the warm weather warming up outside right before their recital.